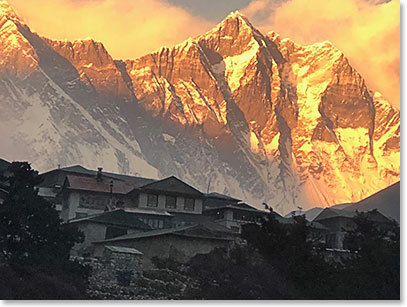 High passes of Everest Dispatch: November 6, 2018 – Made it to Pheriche! 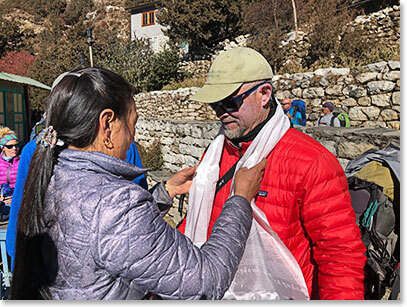 November 6, 2018 – Made it to Pheriche! Sharks had a great day. 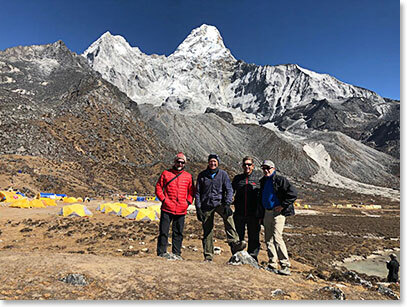 We climbed 2,300ft from Pangboche to Ama Dablam base camp. We have now reached an altimeter higher than 15,000ft. After visiting Ama Dablam base camp, we went back for our second night in Pangboche. The trail between Pangboche and Pheriche – we will spend two nights in Pheriche acclimatizing at 14,000ft.